Simple, fresh ingredients are what Cicciotti's Kitchen is all about. 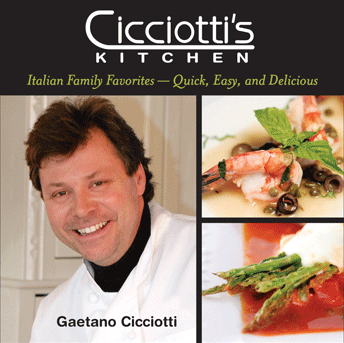 Executive chef and restaurant owner Gaetano Cicciotti shows you how to create his favorite Italian dishes - just like his Mother and Grandmother taught him. 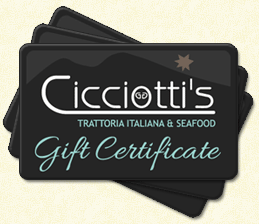 We invite you to savor our classic Italian food dishes of Naples, Italy, and the Italian family recipes of chef and owner Gaetano Cicciotti. We are celebrating our 8th year in the Italian food business.